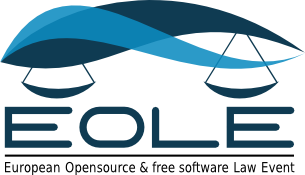 The 2016 edition of the European Open Source & free software Law Event (EOLE), organized during the Paris Open Source Summit on November 15th, was dedicated to Open Innovation and to the related legal questions. Once attributed exclusively to the R&D department, innovation is now opened up to other departments within a company but also to the entire society. Open Innovation overturns the traditional conception of innovation. Introduced by Henry Chesbrough in 2003, Open Innovation refers to the capacity of companies to benefit from external contributions. Innovation is not reduced anymore to only one organization: it refers to the ability to invent or create better with and through others. Open Innovation allows us to take full advantage of external forces: in this context, stakeholders of the ecosystem are improving their capabilities, benefiting from the creativity and intelligence of everyone. Open Innovation also promotes breaking down barriers within organizations themselves, and the end of compartmentalized innovation. Open Innovation is defined by this opening trend, which is increasingly adopted by organizations of all types. This trend is the result of globalization and has witnessed a strong acceleration with the development of digital technology and the widespread use of the Internet. The increase of production rate and the shrinking of products' life cycles also contributed to the development of Open Innovation. Open Innovation raises a number of legal questions, especially in terms of intellectual property management, and is therefore of particular interest to lawyers. Those lawyers could contribute to the adoption of a specific strategy inside their organization to facilitate, or even make systematic the implementation of Open Innovation. The 8th edition of EOLE focused on the position adopted by lawyers on Open Innovation, and to the role of open models in this dynamic. The speakers first discussed the links between Open Data and innovation. Despite Open Data being a popular topic, it is often reduced to public administrations, even though it is an older and broader topic. Besides, if there are indeed strong links between Open Data and innovation, this opening must go along with a formalized strategy to enable innovation. Finally, speakers also dealt with two topics which are not discussed enough when it comes to Open Innovation strategies: interfaces and infrastructures. Yet, both topics are highly relevant since they support innovation by getting people to work together. Open Data falls within an approach of openness and transparency. Even if an Open Data policy can be conducted in the private sector just as well as the public sector, this term is often used to refer to the availability of public data. European PSI Directives are placing Member States under reporting obligations in terms of the re-use of public sector information. In France, all the legislation is based on the CADA law of 1978 and seeks to extend the availabilty of public data. Nevertheless, it turns out that administration in charge are facing difficulties to respect this obligation. Loïck Gerard identified four points that can explain the delay of Belgium in opening their data: its federal nature, the lack of political interest, the lack of guidelines and the lack of unification. As Belgium is a federal state, the transposition of PSI directives falls within the jurisduction of several legislators, resulting in as many different legislations. The lack of political interest can be explained by the fact that public administrations don't yet see the value of Open Data. Besides that, they suffer from a lack of guidance and support: a lot of them don't really know what Open Data is and no one there can teach them. Finally, Belgium suffers from a lack of unification: there is a lot of disparities and there are several portals - even if the creation of a federal portal is being discussed. To access all data published by Belgian public administrations, you have to use multiple portals, making it more difficult to access. If the link between Open Data and innovation seems pretty obvious, we should not fall into the trap thinking that opening data will instantly entail innovation: making data available is not enough to, as if by magic, create innovation. Public administrations need to stop thinking in terms of number of datasets available, but to think about the ecosystem which is created, and to the quality of this data, which need to be up to date and useful. Barcelona can be taken here as an example: it managed to create an ecosystem within which 55 companies are actually using data that has been released. The "Smart City Campus - 22@" has been created, as a way to promote the development of innovations linked to Smart Cities. Legal questions also arise with Open Data: is it possible to protect data which is being released ? Even though data is not protected by itself, datasets are protected by a sui generis right: the database right. A particular license has been created to match the specificites of databases: the ODbL (Open Database License). This license transposes the copyleft notion and ensures that every derivated database is accessible, editable and reusable by everyone. Unlike free software (Open Source), where individuals -- or small groups of individuals -- can have a significant impact on the community, with Open Data you need a massive amount of data to be aggregated. And a single person can't produce the effort needed to collect this data! Public administrations must take into consideration the role they have to play. How to promote innovation within an organization, thanks to an Open Innovation strategy? With an opening strategy, contractual relations are increasing, as a natural consequence of the increasing number of collaborations. Since Open Innovation is a recurring occurrence, the implementation of an Open Innovation strategy needs to include an appropriate legal framework, allowing to think ahead this collaboration. Legal aspects must have been considered in order not to hinder openness and collaboration. It can be achieved through the creation of a legal toolbox, allowing to gather all the documents, contract templates, recommendation, etc. which are helpful on a day-to-day basis for all the members of the organization. It would also be useful, in terms of contracts concluded with partners, to systematize clauses / terms allowing the implementation of Open Data, Open Source, etc. Thus, the management of intellectual property rights has to be totally redesigned: with Open Innovation, intellectual property should not be seen anymore only as a protection tool. From now on, the company strategy turns from protection to valuation of its immaterial assets. It is now essential not to reduce innovation to the only intellectual property that it produces. Organizations should not only measure their performance just by looking at the number and value of patents registered. An indicator exclusively based on patents is not relevant, especially in a context of Open Innovation. However, that does not mean that patents should not be taken into consideration in the collaboration strategy, since they can lead to the conclusion of specific licenses for example. Besides, an Open Innovation strategy needs to be followed by clear and complementary strategies in terms of Open Data, Open Source, Open Hardware, Open APIs, etc. There are a lot of possible combinations between those different models, but all of them require a certain amount of letting go. This attitude is the only way to favor contribution of outsiders and consequently, evolution of state of the art and collective innovation. The term "Open Interfaces" refers to the transposition of the Open Source model to interfaces. An interface can be broadly defined as a point where two systems, subjects or organizations meet and interact. In terms of computing, it mainly refers to APIs (Application Program Interfaces), formats and protocols. An Open Innovation mindset is collaborative by its very nature, thus these interfaces have to be opened to allow interoperability. The availability of interfaces of a product guarantees its interoperability and reduces lock-in effects. In this regard, interoperability is one of the major issue in the area of IoT (Internet of Things): one can assume that IoT will not be capable of developing without a strong interoperability between software and hardware. Without interoperability, products would not be able to reinforce each other and the market would shut down. Europe is looking at interoperability, as indicated by the publication of the INTILA license. This license supports interoperability and gives confidence by providing a legal framework to specifications which have not been formalized / made official. This idea is very prominent in the area of Hardware, and especially Open Hardware (or Open Source Hardware). Open Hardware is a material with freely accessible specifications, so that anybody can study, modify, build and distribute those specifications or the material based on them. The publication of technical specifications of a product -- moreover in a clear and documented form -- strengthen its interoperability. Sibelga, the manager of the electricity and gas network in Brussels, has launched the PlugElec system. This example illustrates the implementation of an Open Hardware strategy with an objective of interoperability development. Since electric board meters were too expansive to remove and to replace, Sibelga decided to develop specifications of a new board. Within this Open Hardware initiative, Sibelga got together with every player of the ecosystem in order to write the technical specifications for the new PugElec board. To widely spread this documentation, Sibelga placed these technical specifications under a specific Open Hardware license. Since no actual Open Hardware license was fitting their criterias -- especially a strong copyleft effect -- Sibelga decided to write a specific license. This license is available on their website in english, french and dutsch: http://www.sibelga.be/openhardware/fr. With this process, Sibelga strengthens vertical interoperability, i.e. the capacity for other players of the ecosystem to innovate around this new board meter, by developing compatible products or systems. The goal was to create a new standard and to reduce the production cost of the board. Contracts can also be seen as an interface: they are indeed an interface between two persons. Could they also be qualified as an interface supporting innovation ? Free licenses, for example, are contracts of assignment of intellectual property rights which give rights to users and enable innovation. How do organizational structures sustain collaborative innovation within free and open source projects? Organizations facing this situation have two options : create an internal platform, integrated / built-in to the organization itself, or use an external platform. Their choice depend on the level of trust of the ecosystem's stakeholders. Organizations that benefit from a high level of trust -- such as Universities -- can create an internal platform, whereas others would more likely use an external structure. The relationship between the company and the community which will be created around an Open Innovation project must also be considered. Companies should not try to control the community, but should try to motivate it. This incentive could be created by the organization of events such as hackathons, meetups... which can create innovation by getting people to work with a broader environment than the one they are used to interact with. To that end, it is important to think ahead to the legal questions linked to those events and especially to intellectual property rights agreements related to the participants' contributions. It is also important to ensure that there are no barriers to entry which would prevent new players from joining the project. This is especially true when the project is quite old: then, you need to make the documentation available for the players, in order to allow them to have the same level of knowledge, despite their limited experience in the project. The LibreOffice project, led by The Document Foundation and represented by Italo Vignoli, can be seen as an example of transparency. The whole documentation linked to the project is available online (documentation of the product but also documentation linked to the development process : guidelines to write the code, tests, etc.). The Software Freedom Conservancy structure, whose purpose is the development and promote of Free and Open Source Software projects, has two interesting characteristics that could explain its success. First, the structure decided to be a non-profit organization (charitable entity). Secondly, they have a sort of "incubator style": projects can join Conservancy but can also leave very easily. L'innovation au sein des entreprises, autrefois cantonnée aux services R&D, s'ouvre aujourd'hui vers l'extérieur. L'Open Innovation (ou innovation ouverte en français) renverse ainsi la conception traditionnelle de l'innovation. Théorisée par Henry Chesbrough en 2003, l'Open Innovation vise la capacité des entreprises à bénéficier des apports de contributeurs externes à celle-ci. L'innovation ne se réduit désormais plus à une seule organisation : il s'agit de "créer mieux avec et grâce aux autres". L'innovation ouverte permet ainsi de tirer profit des "forces de la multitude", chaque acteur augmentant sa capacité à bénéficier de la créativité, de l'intelligence et des contributions environnantes. L'Open Innovation promeut également le décloisonnement des frontières au sein des organisations elles-mêmes, et la fin de l'innovation en silos. Ce mouvement d'ouverture qui caractérise l'Open Innovation, adopté de manière croissante par les organisations de tous types, résulte de la mondialisation des échanges, et a connu une forte accélération avec le développement du numérique et la généralisation d'internet. L'augmentation du rythme de production d'innovations et la réduction du cycle de vie des produits ont également contribué au développement de l'innovation ouverte. L'innovation ouverte pose un certain nombre de questions juridiques, notamment en termes de gestion et de valorisation des actifs de propriété intellectuelle, et intéresse donc particulièrement les juristes. Ceux-ci peuvent contribuer à l'adoption d'une stratégie spécifique au sein de leur organisation afin de faciliter, voire automatiser, la mise en œuvre de l'Open Innovation. La 8e édition d'EOLE s'intéresse à la position des juristes face à l'Open Innovation, ainsi qu'au rôle et à la place des modèles ouverts dans cette dynamique. Le premier sujet sur lequel les intervenants se sont penchés est celui des liens qu'entretiennent l'Open Data et l'innovation. Si l'Open Data est un sujet en vogue, il est néanmoins souvent réduit aux administrations publiques, alors qu'il s'agit en réalité d'un sujet beaucoup plus large et ancien. Par ailleurs, s'il existe effectivement des liens forts entre l'Open Data et l'innovation, il faut cependant que cette ouverture soit accompagnée d'une stratégie formalisée pour permettre l'innovation. Enfin, les intervenants ont également abordé deux sujets insuffisamment traités lorsqu'il s'agit de stratégie en matière d'innovation ouverte : les interfaces et les infrastructures. Ces sujets présentent pourtant une grande importance puisqu'ils permettent de favoriser l'innovation, en amenant les gens à travailler ensemble. L'Open Data s'inscrit dans une logique d'ouverture et de transparence. Bien qu'une politique d'Open Data puisse être mise en œuvre aussi bien dans le secteur privé que le secteur public, ce terme est fréquemment utilisé pour désigner la mise à disposition des données des administrations publiques. En Europe, les directives PSI (Public Sector Information) mettent ainsi à la charge États membres des obligations en termes de réutilisation des informations du secteur public. En France, les différentes lois qui ont été adoptées en la matière se fondent sur la loi CADA de 1978 et vont dans le sens d'un élargissement toujours plus important des informations publiques devant être rendues accessibles. Néanmoins, la mise en œuvre de cette obligation s'avère compliquée pour les administrations qui en ont la charge. Pour la Belgique, Loïck Gérard a ainsi identifié quatre points pouvant expliquer le retard du pays dans l'ouverture de ses données : sa nature fédérale, le manque d'intérêt politique, le manque d'orientation des administrations publiques et l'absence d'unification. La Belgique étant un État fédéral, la transposition des directives PSI relève de la compétence de plusieurs législateurs différents, dont il résulte donc autant de législations et de licences d'utilisation différentes. Le manque d'intérêt politique s'explique, quant à lui, par le fait que les administrations publiques ne voient pas encore l'intérêt de l'Open Data. Par ailleurs, celles-ci souffrent d'un manque d'orientation, d'encadrement : beaucoup ne savent pas réellement ce qu'est l'Open Data et n'ont personne vers qui se tourner pour obtenir de l'aide. Enfin, la Belgique pâtit également d'une absence d'unification : bien qu'un portail Open Data fédéral ait été créé, celui-ci ne reprend qu'une parcelle des données publiées par les régions et communes. Pour accéder à l'ensemble des données publiées par les administrations publiques belges, il faut donc se rendre sur différents portails, ce qui rend plus difficile l’accès à ces données. Si le lien entre Open Data et innovation semble évident, il ne faut pas tomber dans le piège de penser qu'ouvrir ses données va nécessairement entraîner de l'innovation : il ne suffit pas d'ouvrir ses données pour, comme par magie, créer de l'innovation. Les administrations publiques doivent cesser de raisonner en termes de nombre de données mises en ligne mais doivent réfléchir à l'écosystème qui est ainsi créé, ainsi qu'à la qualité de ces données, qui doivent être actualisées et utiles. En ce sens, la ville de Barcelone peut être citée en exemple : elle a réussi à créer un écosystème dans lequel 55 entreprises utilisent effectivement les données qu'elle a mise en ligne. Un "Smart City Campus - 22@" a ainsi été créé, pour permettre le développement des innovations liées aux Smart Cities. L'Open Data soulève également des questions d'ordre juridique : peut-on protéger les données qui sont ainsi diffusées ? Si les données en elles-mêmes ne font pas l'objet d'une protection par le droit, les bases de données sont protégées par un droit sui generis : le droit des producteurs de bases de données. Une licence particulière a ainsi été créée pour répondre aux spécificités des bases de données : la licence ODbL (Open Database License). Celle-ci transpose la notion de copyleft, imposant ainsi que toute base de données dérivée soit maintenue sous la même licence et puisse donc être accessible, modifiable et réutilisable par tous. Enfin, il faut souligner que le rapport de force est ici en faveur des administrations publiques. À la différence de l'Open Source, où des individus isolés peuvent créer des logiciels et être capables d'avoir un impact important sur la communauté, l'Open Data nécessite qu'un nombre très important de données soient agrégées. Or, la collecte de ces données nécessite un effort qu'un individu - ou un petit groupe d'individus - n'est pas en mesure de produire. La prise en compte par les administrations publiques du rôle qu'elles ont à jouer est donc cruciale. Comment intégrer l'innovation ouverte au sein d'une organisation ? L'augmentation exponentielle des relations contractuelles est le corollaire naturel à l'augmentation des collaborations qui résulte nécessairement de la mise en œuvre d'une stratégie d'ouverture. Ainsi, parce que l'Open Innovation n'est pas un phénomène ponctuel, la mise en place d'une stratégie d'innovation ouverte doit inclure un cadre juridique adapté, permettant d'encadrer et de systématiser cette collaboration. Pour que les aspects juridiques ne constituent pas un frein à l'ouverture et à la collaboration, ceux-ci doivent avoir été réfléchis en amont. Cela peut notamment passer par la création d'une boîte à outils juridique permettant de rassembler l'ensemble des documents, modèles de contrats, conseils, etc. utiles au quotidien à tous les membres de l'organisation dans la mise en œuvre concrète de la politique d'innovation ouverte. Il sera également utile, dans les relations partenariales, de systématiser les clauses permettant la mise en œuvre de l'Open Data, de l'Open Source, etc. Ainsi, le mode de management des actifs de propriété intellectuelle doit être totalement repensé : si la propriété intellectuelle était classiquement envisagée de manière exclusive, dans une optique de protection des actifs immatériels de l'entreprise, l'Open Innovation marque un changement de paradigme. Désormais, l'entreprise bascule d'une stratégie de protection à une stratégie de valorisation de son patrimoine immatériel, en ayant recours à la collaboration. Il est désormais nécessaire de ne plus considérer l'innovation à l'aune de la seule propriété intellectuelle qu'elle génère. Le nombre et la valeur des brevets déposés ne doivent pas être les seuls indicateurs de performance utilisés par les organisations ; une telle mesure de l'innovation n'étant pas pertinente, et ce d'autant plus dans un contexte d'innovation ouverte. Cela ne signifie toutefois pas que les brevets doivent être négligés. Ceux-ci doivent en effet être pris en compte dans la stratégie de collaboration, et peuvent notamment conduire à la conclusion de licences spécifiques. Par ailleurs, la stratégie d'innovation ouverte doit passer par la définition de stratégies distinctes et complémentaires en matière d'Open Data, Open Source, Open Hardware, Open APIs... Les combinaisons possibles de ces différents modèles sont nombreuses, mais toutes passent par un certain abandon, un lâcher-prise qui sera seul à même de favoriser la contribution des tiers et donc, in fine, l'évolution de la technologie et l'innovation collective. Le terme "Open Interfaces" fait référence à la transposition du modèle de l'Open Source aux interfaces. Les interfaces désignent, au sens large, tout dispositif permettant la communication entre deux systèmes. En matière informatique, il s'agit principalement des APIs (Application Program Interfaces), des formats et des protocoles. Dans une logique d'innovation ouverte, et donc collaborative, il est essentiel que ces interfaces dites "logicielles" soient ouvertes, afin de permettre l'interopérabilité. La connaissance des interfaces d'un produit permet en effet d'en garantir l'interopérabilité et de réduire les effets de verrouillage (lock-in). L'interopérabilité est d'ailleurs l'un des enjeux majeurs dans le secteur de l'IoT (internet des objets en français) : il est possible d'affirmer que celui-ci ne pourra se développer qu'en présence d'une forte interopérabilité entre les processus et les équipements, afin de ne pas fermer le marché et de permettre aux produits de se renforcer mutuellement. L'interopérabilité est un sujet sur lequel se penche l'Europe, comme en témoigne la publication de la licence INTILA. Celle-ci permet de favoriser l'interopérabilité et de donner confiance en procurant notamment un cadre juridique aux spécifications non-normalisées. Cette notion est donc très présente dans le domaine du Hardware, et notamment de l'Open Hardware (ou Open Source Hardware, ou matériel libre en français). Le matériel libre est un matériel dont les spécifications sont librement accessibles, de façon à ce que chacun puisse étudier, modifier, construire et distribuer ces spécifications ou le matériel basé sur ces spécifications. La publication des spécifications techniques d'un produit - de surcroît dans une forme claire et documentée - permet de renforcer l'interopérabilité autour du produit. Le système PlugElec développé par Sibelga, le gestionnaire des réseaux de distribution de gaz et d'électricité pour la région de Bruxelles, permet d'illustrer la mise en œuvre d'une stratégie d'Open Hardware avec un objectif de développement de l'interopérabilité. Partant du constat simple selon lequel les compteurs électriques étaient trop coûteux à fabriquer et à modifier, Sibelga a décidé de développer les spécifications d'un nouveau compteur électrique : PlugElec. Souhaitant inscrire sa démarche dans une logique d'Open Hardware, Sibelga a réuni tous les acteurs de l'écosystème afin de rédiger les spécifications technique du nouveau compteur PlugElec. Afin que cette documentation soit la plus largement diffusée, Sibelga a ensuite placé ces spécifications techniques sous une licence Open Hardware spécifique. Aucune licence Open Hardware existante ne remplissant leurs critères - notamment celui d'un copyleft fort - Sibelga a en effet rédigé une licence spécifique. Celle-ci est accessible sur leur site internet à l'adresse suivante : http://www.sibelga.be/openhardware/fr. Par cette démarche, Sibelga renforce l'interopérabilité verticale, c'est-à-dire la capacité des acteurs de l'écosystème à innover autour de ce nouveau compteur électrique, en créant des produits ou des systèmes compatibles. Le but était de créer un nouveau standard et ainsi de permettre une réduction des coûts de production du compteur électrique. Le contrat est également une interface : il s'agit en effet d'une interface entre deux personnes. Peut-il lui aussi être qualifié d'interface favorisant l'innovation ? Les licences libres, par exemple, sont des contrats de cession des droits de propriété intellectuelle qui octroient des libertés aux utilisateurs, et permettent ainsi de favoriser l'innovation. Comment les organisations souhaitant mettre en place une stratégie d'innovation ouverte peuvent-elles créer un environnent propice à l'innovation ? Deux possibilités s'offrent à elles : créer une plateforme interne, intégrée à l'organisation elle-même, ou recourir à une plateforme externe. Leur choix sera principalement guidé par le niveau de confiance qu'ont les acteurs dans l'organisation elle-même. Ainsi, les organisations bénéficiant d'une forte confiance de la part de l'écosystème, comme les Universités par exemple, pourront créer une plateforme interne, alors que les autres auront plutôt tendance à se tourner vers des structures externes, plus neutres. Les rapports entre l'entreprise et la communauté qui va être fédérée autour d'un projet d'innovation ouverte doivent également être réfléchis. L'entreprise ne doit pas avoir la volonté de contrôler la communauté, mais doit chercher à l'animer, à la motiver. Cette animation peut notamment passer par l'organisation d'événements (hackathons, meetups...) qui permettent de générer de l'innovation en permettant aux participants de collaborer avec un environnement plus large que celui avec lequel ils ont l'habitude d'interagir. Pour ce faire, il sera important de réfléchir en amont aux questions juridiques liées à ces événements et notamment à l'attribution des droits de propriété intellectuelle sur les contributions des participants. Il est également important de s'assurer qu'il n'existe pas de barrières à l'entrée qui empêcheraient à de nouveaux acteurs de rejoindre le projet, et ce principalement lorsque le projet a une certaine ancienneté : il faut alors mettre à disposition des acteurs toutes les informations liées au projet afin que chacun dispose du même niveau de connaissances. Le projet LibreOffice mené par The Document Foundation et représenté par Italo Vignoli, fait figure de modèle en matière de transparence. L'ensemble de la documentation relative au projet est disponible en ligne (documentation du produit mais aussi documentation concernant les processus de développement en eux-mêmes : guide pour écrire le code, tests...). La structure de la Software Freedom Conservancy, dont l'objet est le développement et la promotion de projets Open Source, présente deux caractéristiques intéressantes qui permettent d'expliquer son succès : celle-ci a d'abord fait le choix d'être une association à but non lucratif (charitable entity) et de laisser une grande facilité aux projets pour entrer et sortir de la structure, à la manière d'un incubateur.